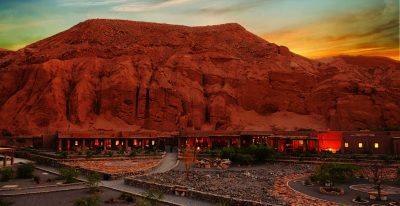 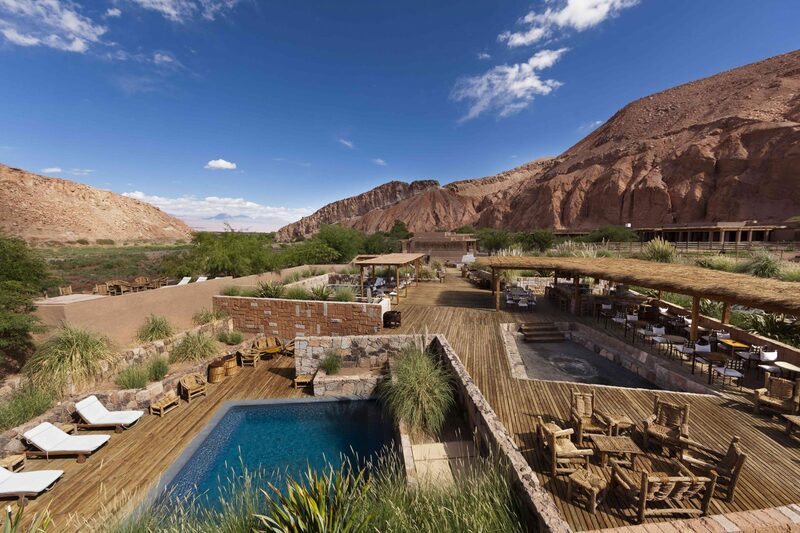 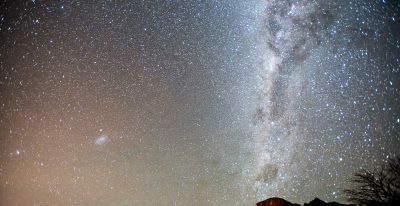 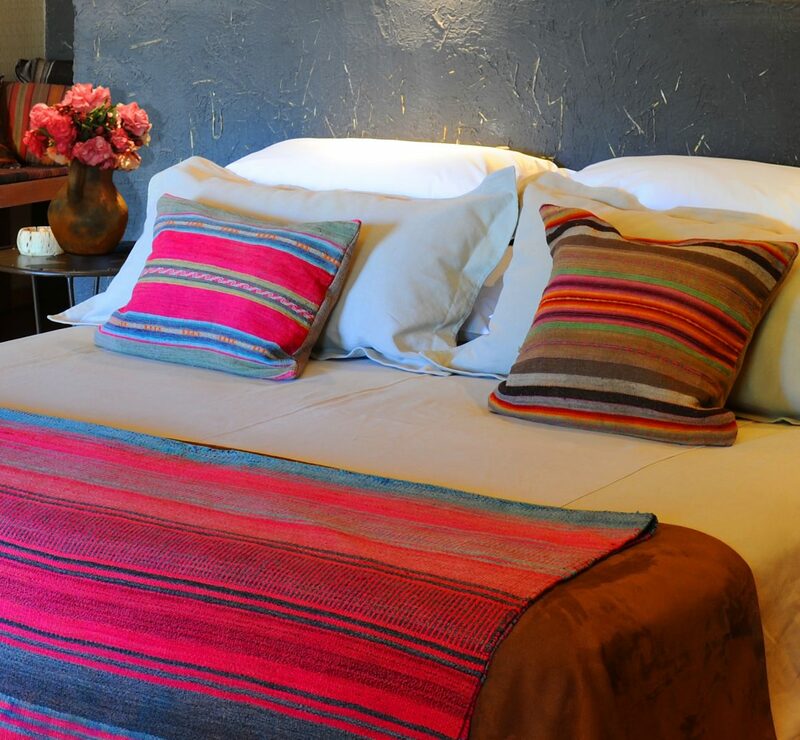 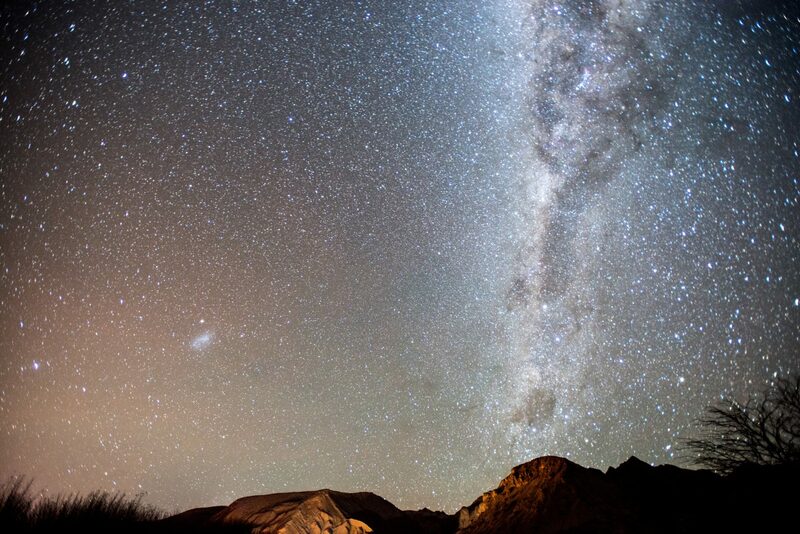 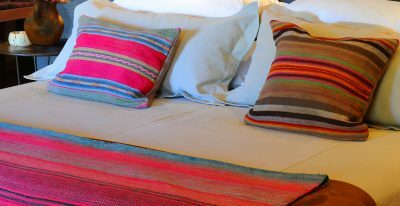 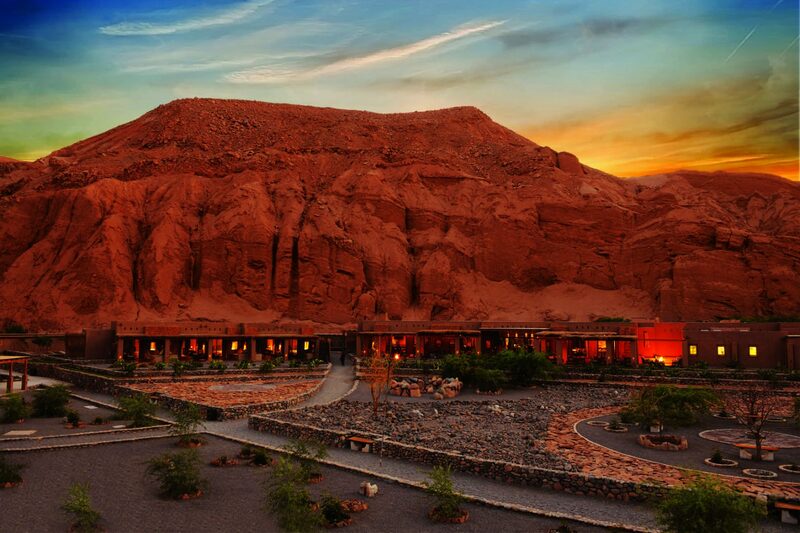 Located in the lush Catarpe Valley of the Salt Mountain Range, just over a mile from the plaza of San Pedro, the Alto Atacama Desert Lodge & Spa is totally enveloped by natural surroundings. 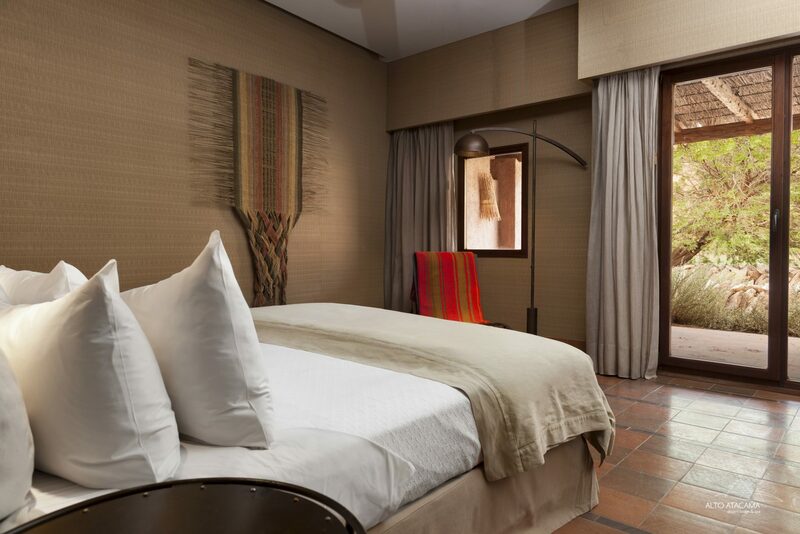 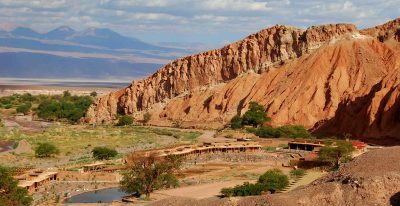 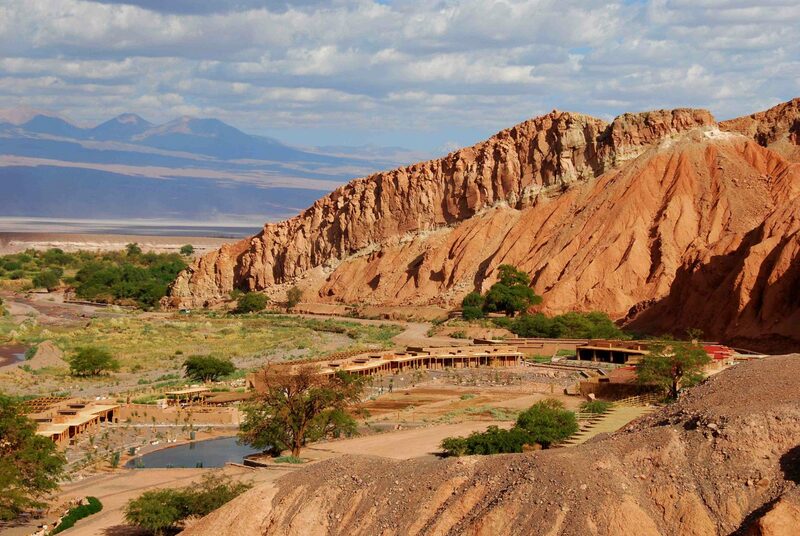 Alto Atacama’s design was influenced by local village architecture and conceived to blend seamlessly into its environment and appear as a part of the terracotta-colored ridge that rises behind it. 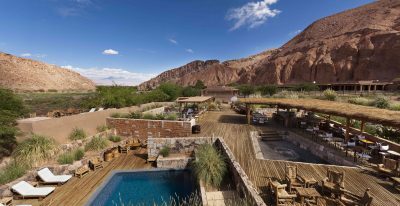 The hotel has a fantastic outdoor space, with a series of pools and a Jacuzzi, an outdoor bar and dining, and plenty of lounging areas. 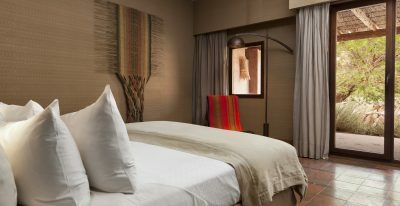 The hotel also features an acclaimed spa. 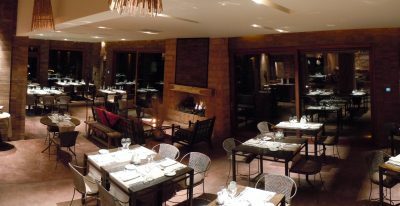 The restaurant offers indoor and outdoor dining and a well-curated selection of Chilean wines. 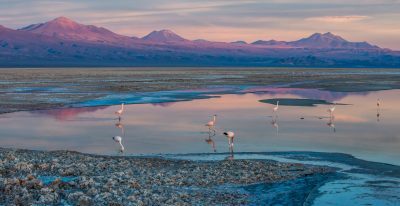 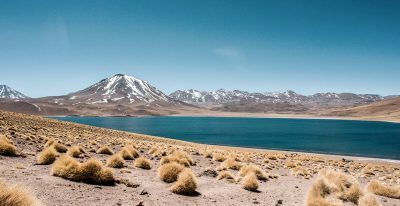 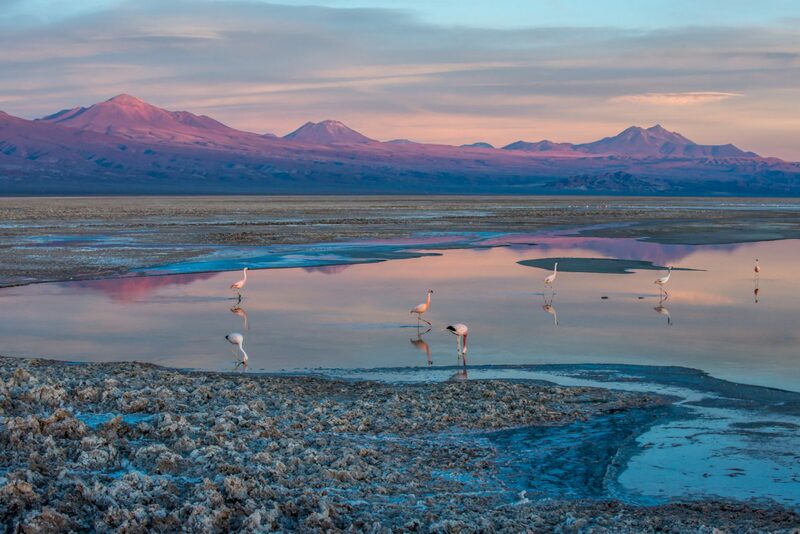 Highly-trained local guides lead excursions to explore the volcanoes, salt flats, lagoons, and other mesmerizing and unique scenery of the Atacama Desert.